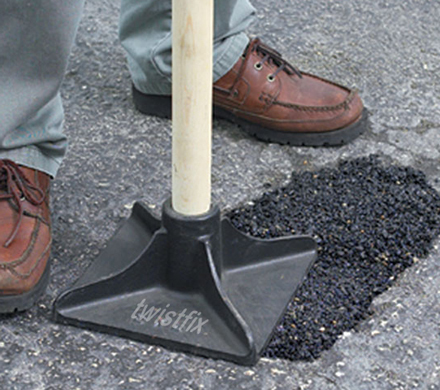 Potholes in roads, driveways, paths and patios are both unsightly and dangerous. Posing a safety risk from slipping and tripping, the damaging pothole will continue to grow if left unchecked, whilst ruining carefully-planned aesthetics. Potholes form because of surface fatigue caused by general usage. First, hairline fractures begin to develop which, as their edges work loose, are picked out of the surface by continued use. These cracks fill with water which further erodes the edges of the crack, widening it, allowing more water to fill the gap and thus starting the process again. Potholes are further widened during the sub-zero temperatures of the winter months, when water freezes within them. Water is an unusual liquid in that it expands when frozen which causes the pothole to widen still further and begins another damaging, cyclic process. 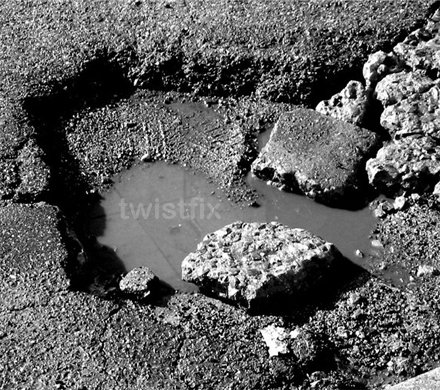 Damage to the suspension and tyres of vehicles is a common problem caused by potholes on roads and driveways. Added to this, loose stones from the pothole can be flung against the delicate paintwork of a vehicle as it passes over. These incidents also cause potholes to grow in size and the problem again becomes worse. An uneven walking surface creates many falling risks and is particularly dangerous to the elderly, children and those with mobility issues. 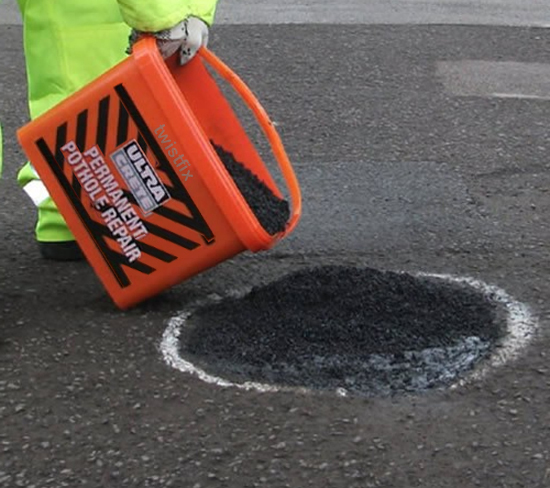 A versatile and effective cold lay asphalt, the system delivers complete and instant repairs to tarmac and asphalt roads, courtyards, driveways, car parks, patios, sports courts and garden paths. The innovative formula works in any weather condition and its highway-quality PSV guarantees professional, lasting results. 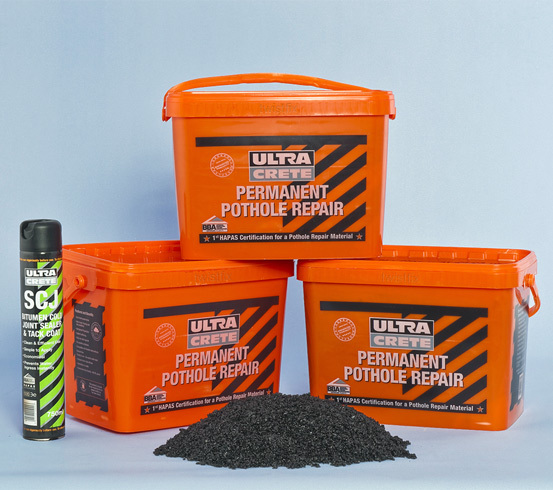 Twistfix Permanent Pothole Repair is also available as part of a comprehensive kit which includes an aerosol can of Bitumen Cold Joint Sealer to prevent further water ingress and protect against the damaging effects of the freeze/thaw cycle. Surface treatment products form part of the extensive Twistfix range of construction, repair and renovation products which includes cavity wall ties, concrete sealer, wood treatment, damp proofing treatments and basement tanking products.